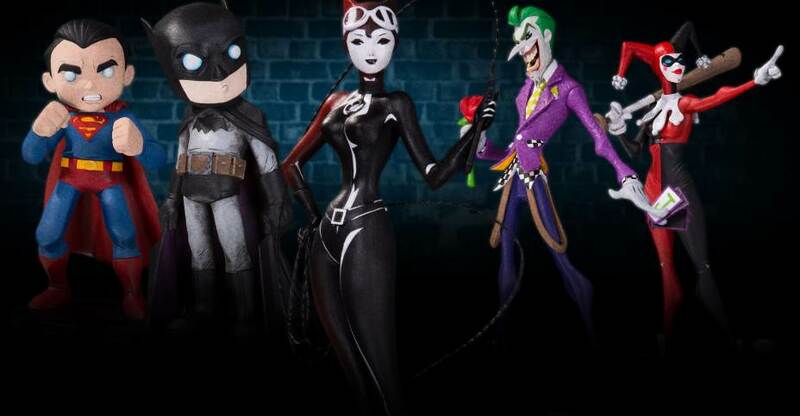 A new assortment of collectible PVC statues is coming from DC Collectibles. 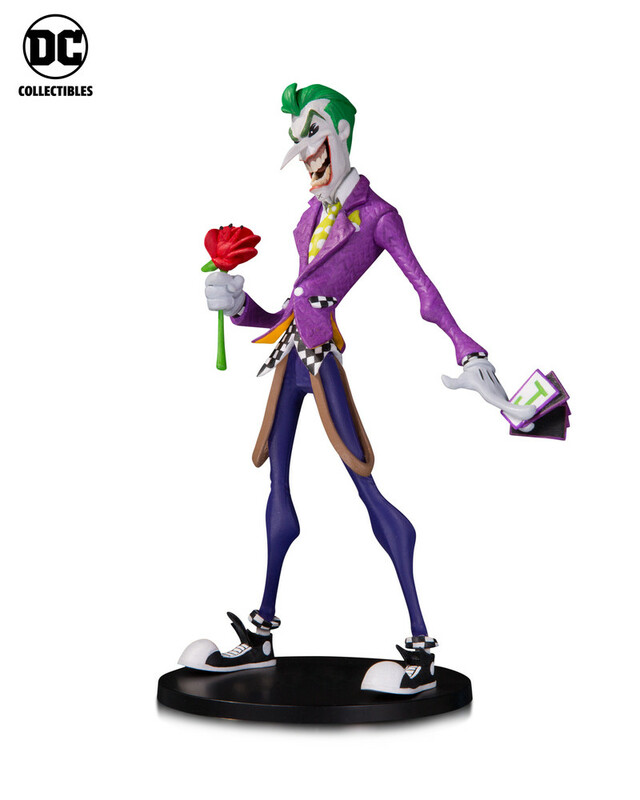 They have released photos and details for their Artists Alley series. 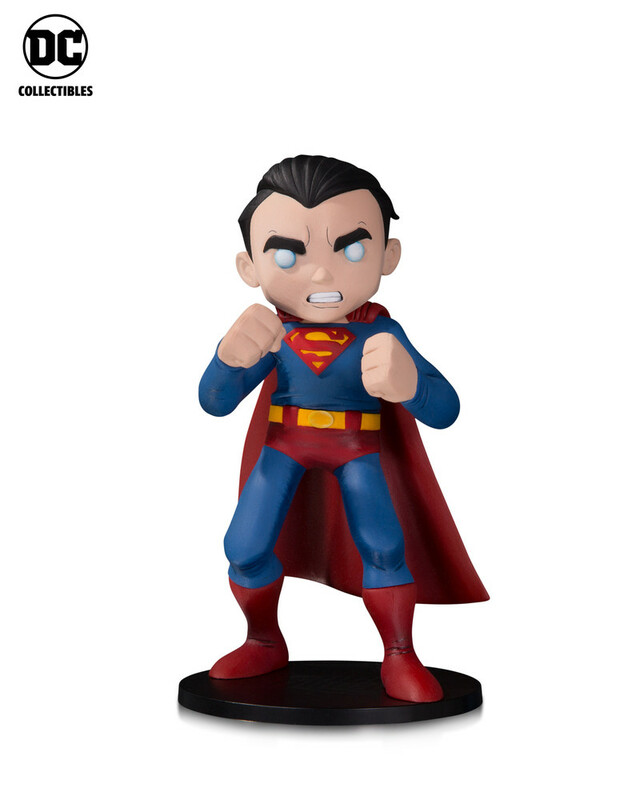 they are teaming up with an assortment of artists, and allowing them to put their own spin on classic DC Comics characters for the new line. 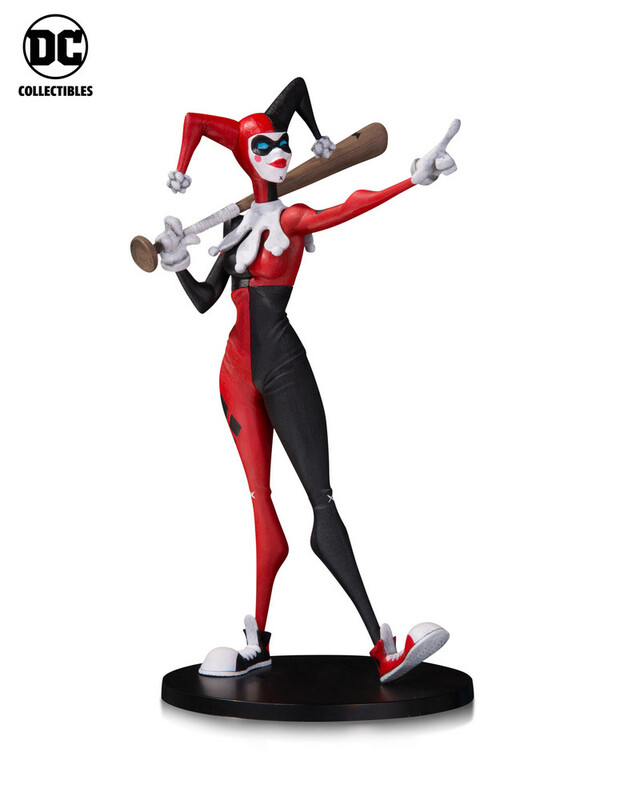 DC Collectibles is kicking off the series with three artists who worked on a total of seven characters for the initial assortment. 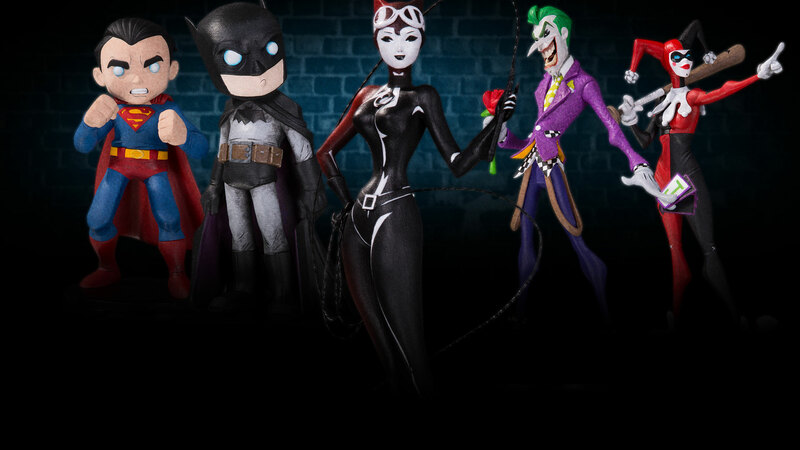 They have revealed the first five statues, which includes Batman, Superman, Harley Quinn, The Joker and Catwoman. These will be released some time in 2018. Check out the details on the artists below, and read on for the new photos. Christopher Uminga is a Connecticut based painter and illustrator. With his two Boston terriers by his side, Chris has spent the last ten years developing a unique style that blends together creepy and cute . You can find the influences of classic movies, Saturday morning cartoons, graffiti and low brow/outsider art in his work. 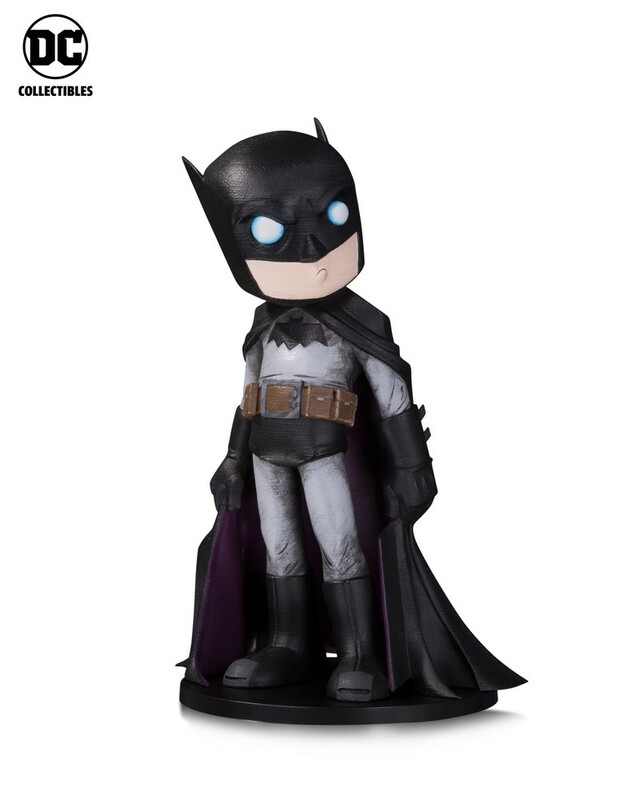 He has created art that can be seen on products ranging from comic books, backpacks to t-shirts and toys. Chris owns way too many baseball hats and is a long long suffering New York Knicks fan. HaiNaNu “Nooligan” Saulque is an artist, comic creator and graphic designer based in Sacramento, Ca. An old soul in a young body, HaiNaNu finds inspiration in times past. From the cartoons of his youth to films he missed by decades, from golden age comics to classic newspaper strips, you will find a creator who has immersed himself in the what he loves. His style is contemporary with a flare of nostalgia. Sho Murase is half Japanese & half Korean, grew up in Europe & has been living in San Francisco California during the past 10 + years. This mix of cultures is reflected in her work, merging asian, manga & western art influences with a personal dark twist. Sho has been working for advertising / animation/ entertainment industries, making style guides, pitch packages and design work. On her spare time she works on her personal art. Her artwork has been exhibited at the German Film Museum in Frankfurt and the Louisiana Modern Art Museum in Denmark, amongst other places. These are too weird-looking for me to spend that kind of money on 'em. Sorry, pass! 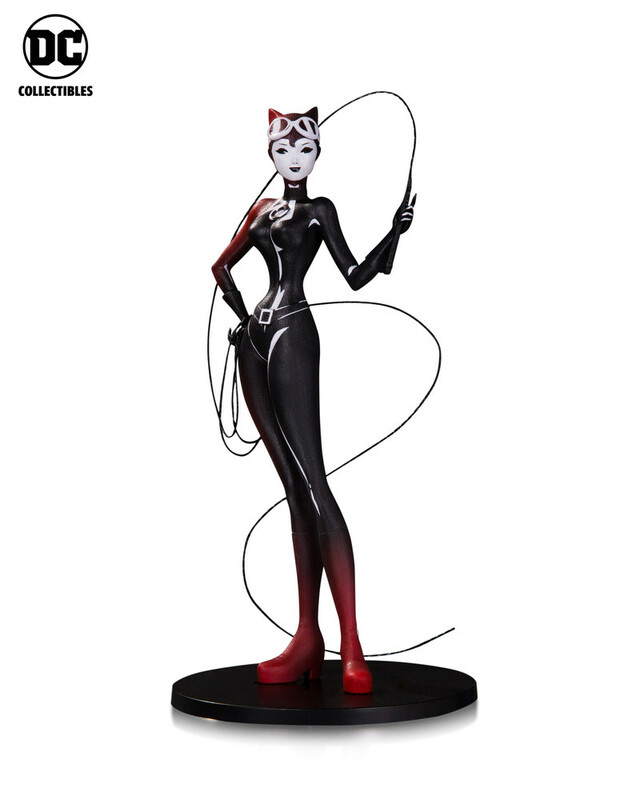 Hmm...Catwoman and Harley will be mind....depending on price.